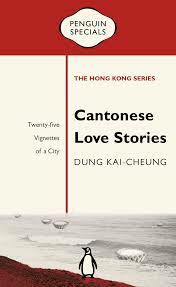 Cantonese Love Stories by Dung Kai-cheung explores Hong Kong through the lens of twenty-five vignettes of the city. Hong-Kong-native Dung Kai-cheung is an award-winning fiction writer, playwright and essayist. Dear Hong Kong by Xu Xi is a memoir from one of Hong Kong’s leading literary figures. Xu Xi now splits her time between Hong Kong and New York, and in Dear Hong Kong, as so many others arrive to try their luck in her native city, she bids farewell to the place she has called home for as long as she can remember. Xu Xi is an acclaimed novelist, short story writer and author of creative non-fiction. She addresses issues of the Chinese family, diaspora and contemporary transnational life in her work. 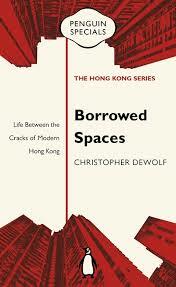 Borrowed Spaces by Christopher DeWolf follows residents as they utilise Hong Kong’s informal spaces - sidewalks, rooftops, parking lots - and illustrates the struggle of some people’s lives in this economically vibrant city. Christopher DeWolf is a Hong Kong-based journalist and long-time contributor to publications including the Wall Street Journal and the South China Morning Post. He is the managing editor for the arts, culture and history magazine Zolima. Generation HK by Ben Bland takes six individuals as examples of Hong Kong’s diverse and active youth, and uses their stories to suggest how Hong Kong’s social and political structures may develop in future. Ben Bland is the South China correspondent for the Financial Times. A System Apart by Simon Cartledge traces Hong Kong’s recent economic fortunes, and misfortunes, and analyses the political foundations that cause the harbour city’s upswings and downturns. Simon Cartledge is the founder of the Hong Kong-based publishing and research company Big Brains and a former Editor-in-Chief, Asia, for the Economist Intelligence Unit. Uncharted Territory by Magnus Renfrew argues that Hong Kong has a once-in-a-generation opportunity to assert itself as the creative and cultural hub of Asia, one able to rival the established centres of New York and London, and asks if it is ready to take on the challenge. Magnus Renfrew was the founding director of the Hong Kong International Art Fair, which is widely recognised as having played a crucial role in repositioning Hong Kong as the centre of the art market in Asia. He was also director of the first two editions of Art Basel in Hong Kong. Details: All titles published by Penguin in paperback and eBook, priced in local currencies.